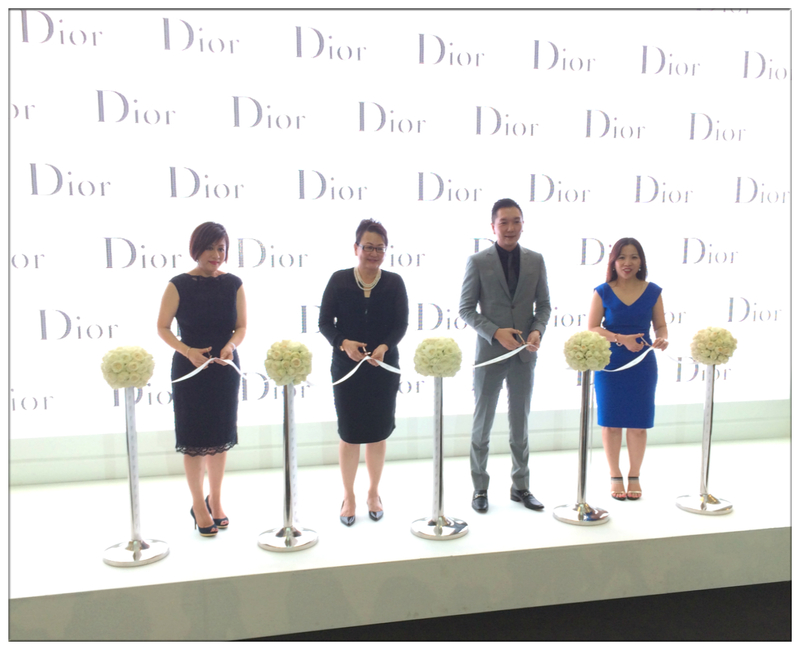 And the grand opening of Dior Boutique at Pavilion Kuala Lumpur! June was such a good month isn't? In conjunction of the grand launching of Christian Dior's La Collection Privée in Malaysia and also the grand opening of Dior Boutique at Pavilion Kuala Lumpur, celebrities and medias and honourable guests were invited to this Dior grand launch party held at Pavilion's Centre Court. 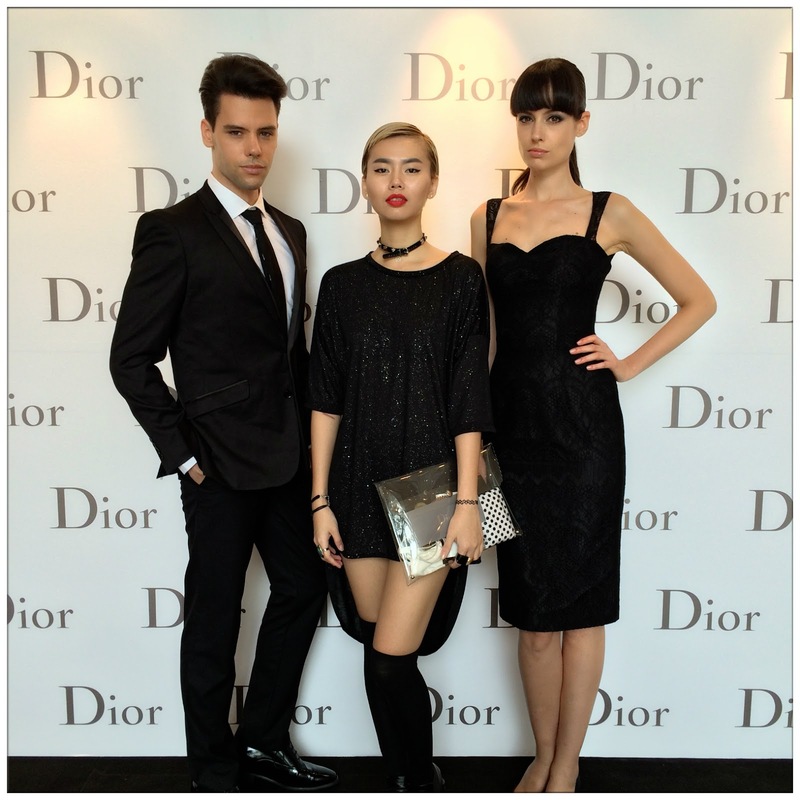 After being the tower among my friends for so long, finally it is my time to be the "bridge" between these two tall models. 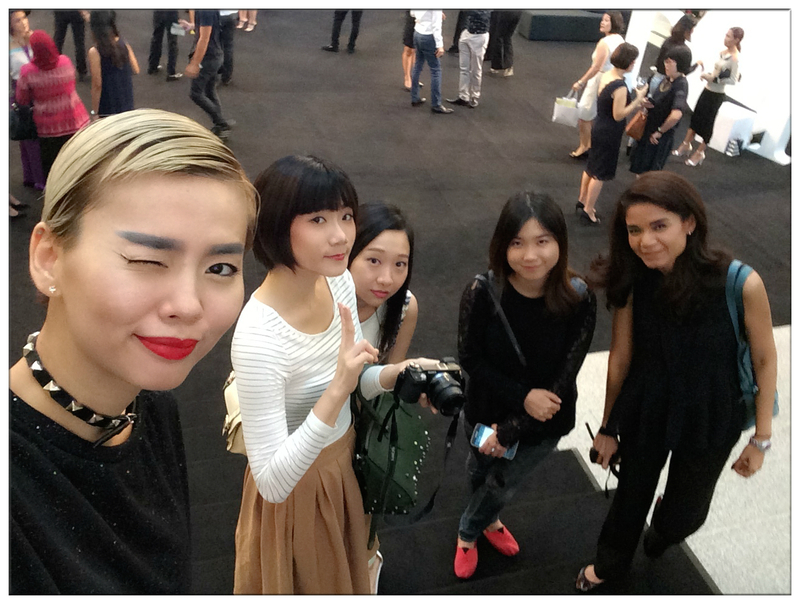 You know, there's something fascinating about Dior that attract ladies to fall in love with this global-known brand. Founded in 1946 by Monsieur Christian Dior, till this day, this French luxury brand is one of the iconic brand in fashion and beauty industry with their own lead of fashion style and beauty products. 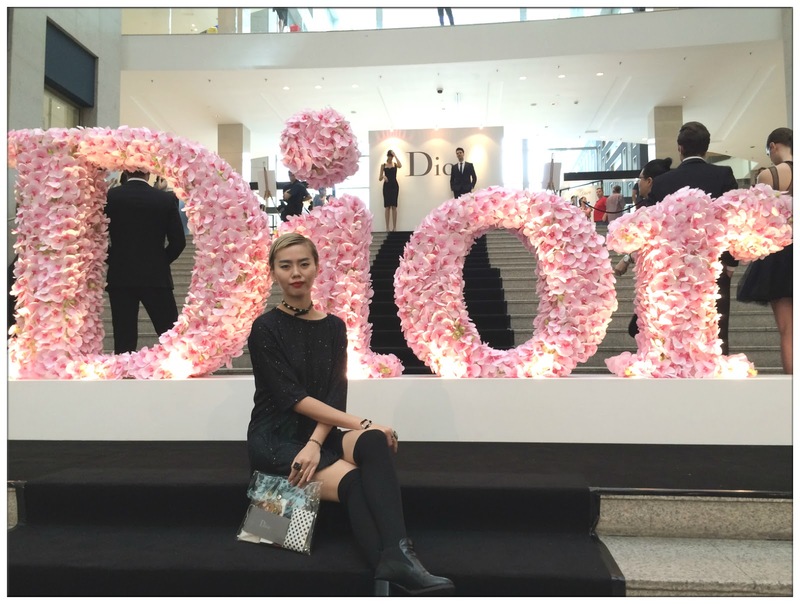 Dior's fragrance started in year 1947 with the iconic Miss Dior which was named after the founder's sister - Catherine. 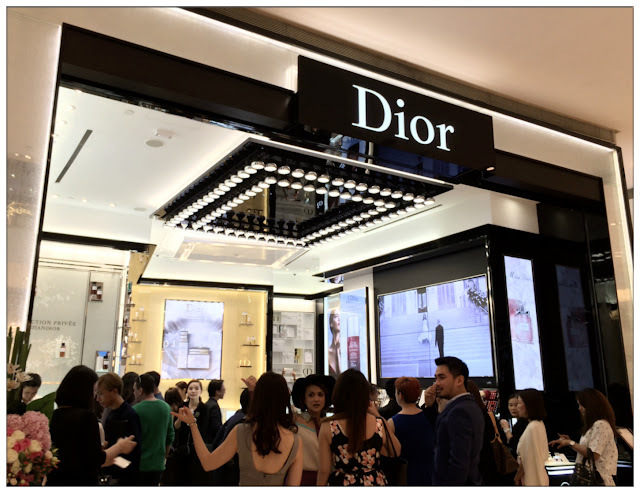 Ever since then, Dior's perfume never fail to amazed their customer with all the passion infused by the couterier-perfumer than founded the label. 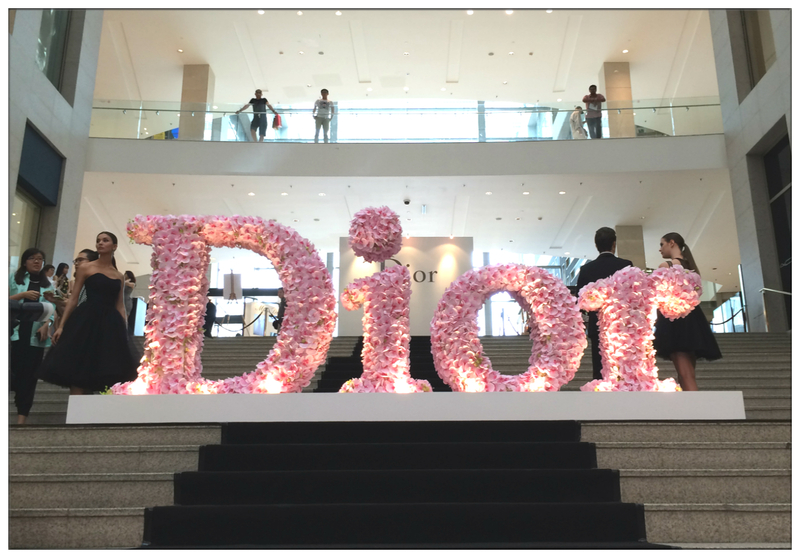 Monsieur Christian Dior's love and passion towards flower were expressed by the creation of famous and significant perfumes such as Diorama in 1949, Diorissimo in 1956 and J'Adore in 1999. 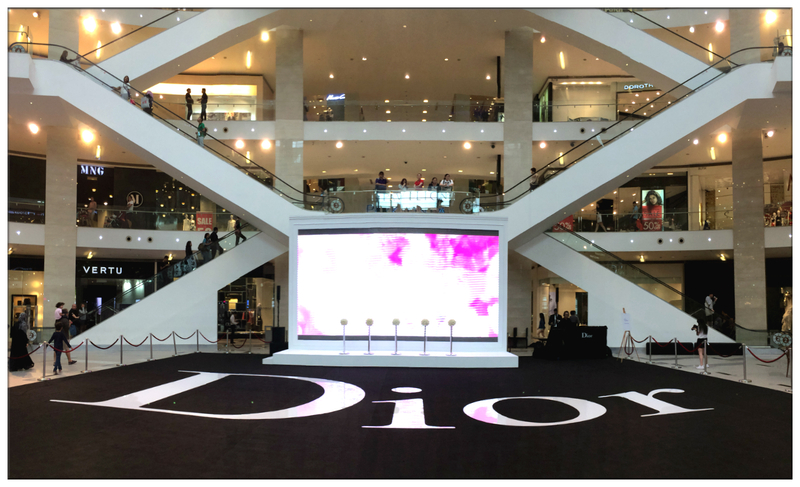 It's been 3 years since Dior Malaysia tried getting Dior's prestige fragrance line La Collection Privée to be sold in Malaysia and finally, here comes the grand launch of La Collection Privée on our Malaysian soil! Congratulations Dior! 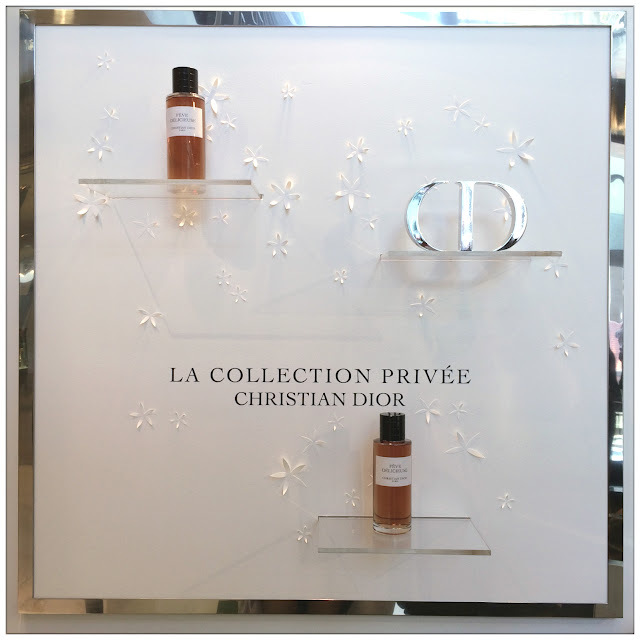 La Collection Privée, created by Dior's Perfumer-Creator - Monsieur Francois Demachy, the 13 fragrances in the line represents the essence of Dior's history, each with their own story to tell about Dior in its own timeline. Each and every unique scent in La Collection Privée's fragrances are created by the medium-scents like rare Iris Florentina, Somali Incense, Indonesian Oud Wood, Indonesian Patchouli and Ambergis from New Zealand. These exotic ingredients brings your senses to another time and space, just like how Monsieur Francois Demachy describes them: rare ingredients, daring olfactory statements and creations that knows no bounds. And this collection "reflects the freedom that only true luxury can provide, and is a delightful recreation for a Perfumer"
New Look 1947 - named after Dior's fashion-changing "New Look" dresses for which is it perhaps best known, and based on the fragrance of tuberose absolute. Féve Délicieuse - built around Venezuelan tonka bean absolute and Madagascan Vanilla, its avid appeal and love of harmony naturally espouse the spirit of Dior. 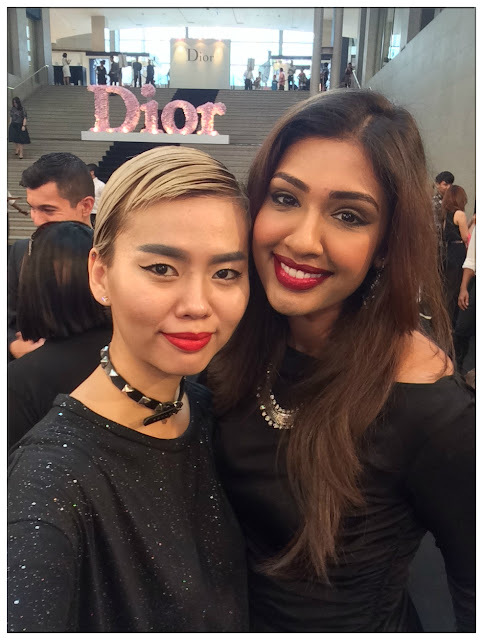 Gris Montaigne - sophisticated chypre fragrance is a bold interpretation of the Dior Grey; a burst of citrus, a floral heart of Turkish Rose and Jasmine Sambac from the Indian region of Tamil Nadu. Ambre Nuit - inspired by the glamorous evening of the 18th century, and tells the tale of a sensual wrapped in amber. Grand Bal - Scents of jasmine and tea inspired by the couturier-perfumer's love of grand parties. Cuir Cannage - a leather composition intertwine with the fruity notes of a lipstick tinged with rose and violet that conveys and an intimate and sensual scent. Granville - named after Monsieur Christian Dior's childhood in the town of the same name in Normandy, and contains pine, rosemary and resin. Cologne Royale - inspired by the royal courts of the 18th century and contains bergamot, citrus, earl grey tea and pepper. Bois D'Argent - described as a 'vertible perfumer's fantasy' and contains iris florentina with a dry, green and fruity scent. Patchouli Impérial - an intense version of the patchouli scent, which was an essential Dior ingredient in the time of the New Look revolution. Oud Ispahan - inspired by a 'vision of a modern, fantastical Orient' and is a mix of Oud wood, rose, amber, and labdanum absolute. Milly-La-Forêt - named after Monsieur Christian Dior's country house and includes white musk. Each bottle of La Collection Privée fragrances are carefully hand crafted, and placed in an exquisite box manually by the women of the workshop, delicately position and label each bottle of fragrance to wow the fragrance owner when the box set is opened. 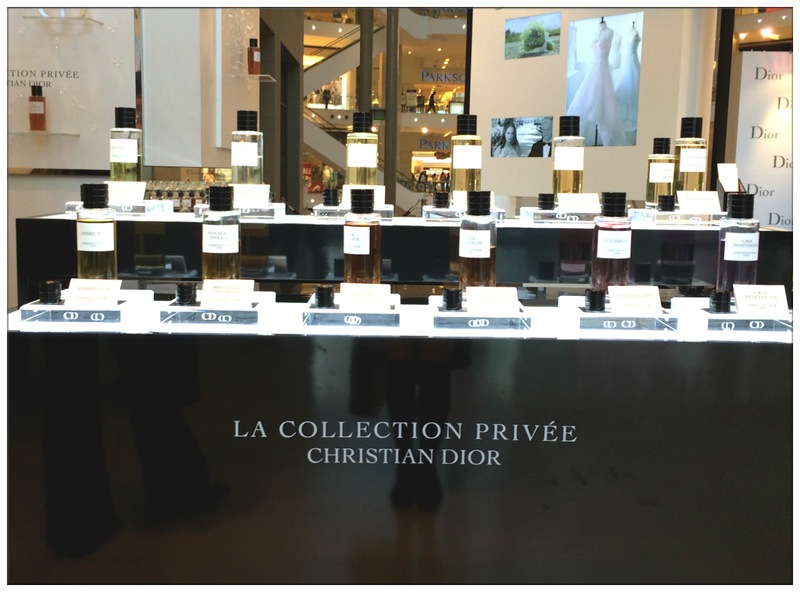 All the 13 fragrances of La Collection Privée are now exclusively available at Dior Beauty Boutique at Pavilion KL, pricing at RM869/125ml and RM1240/250ml. 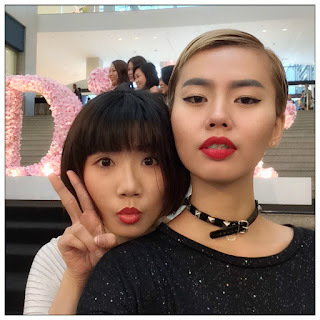 Lisa just cut her hair, super cute!